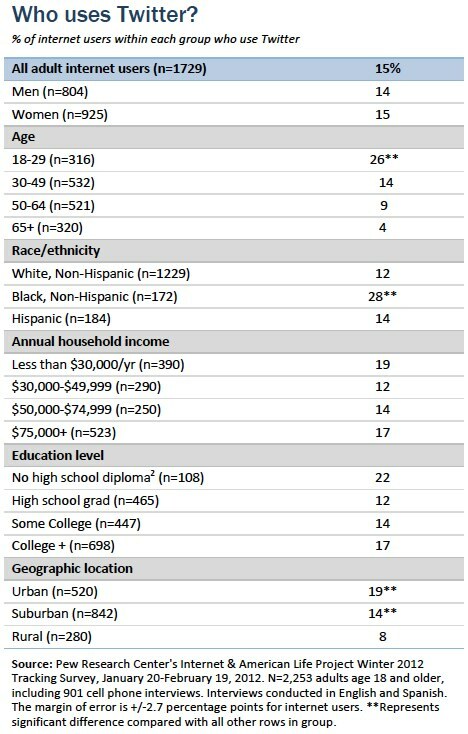 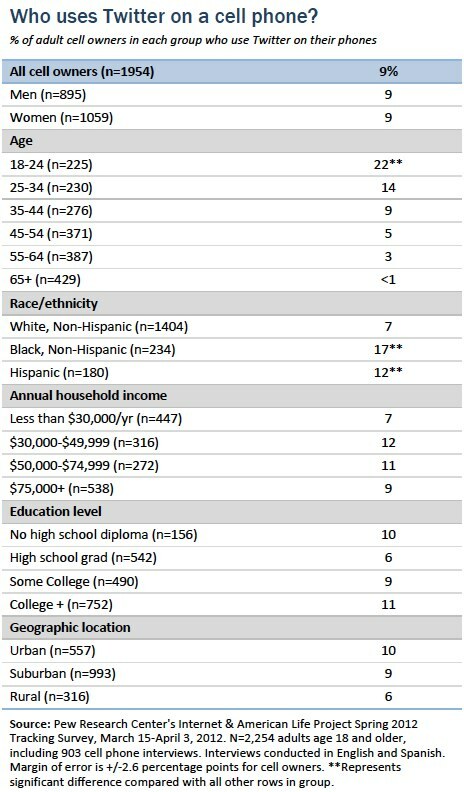 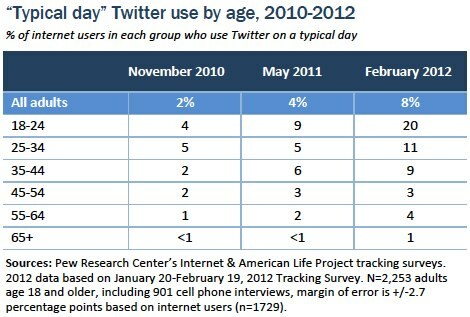 Some 15% of online adults1 use Twitter as of February 2012, and 8% do so on a typical day. 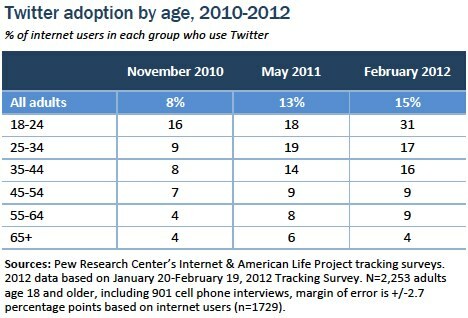 Although overall Twitter usage has nearly doubled since the Pew Research Center’s Internet & American Life Project first asked a stand-alone Twitter question in November 2010, the 15% of online adults who use Twitter as of early 2012 is similar to the 13% of such adults who did so in May 2011. 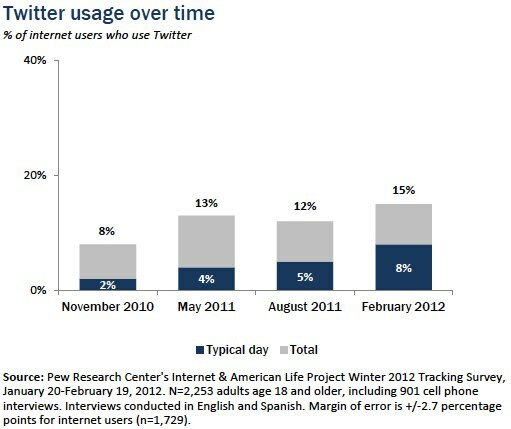 At the same time, the proportion of online adults who use Twitter on a typical day has doubled since May 2011 and has quadrupled since late 2010—at that point just 2% of online adults used Twitter on a typical day.2 The rise of smartphones might account for some of the uptick in usage because smartphone users are particularly likely to be using Twitter.